In October, I decided to join Shapeshifters for an 8 week stint. I was feeling groggy and wanted to take charge of my health and thought getting a personal trainer and an eating plan was the way forward. I'm planning on writing often so this might end up being a long post! 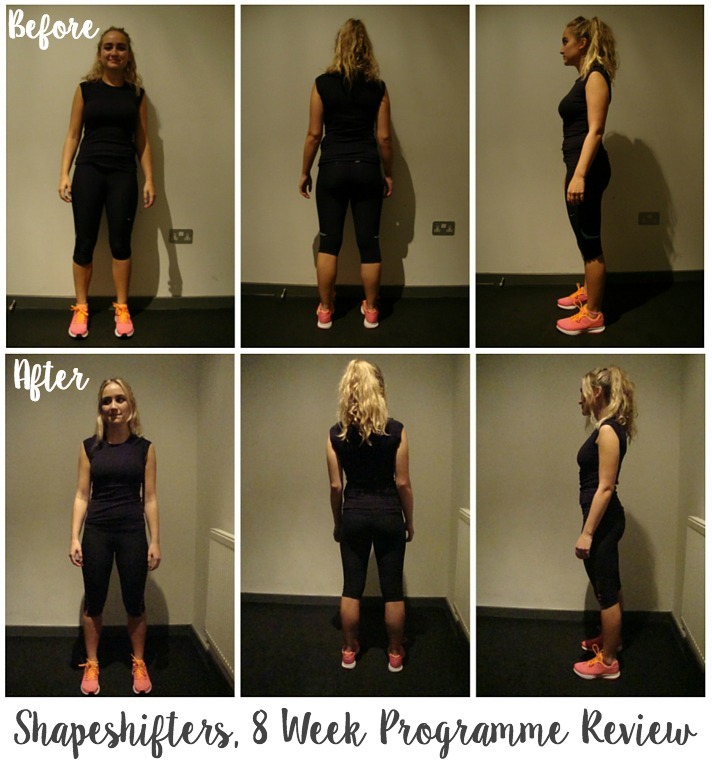 The team at Shapeshifters provide you with an eating plan, tailored for you and your aims. My aims when joining were just to burn off some of my fat and hopefully be a bit more toned. 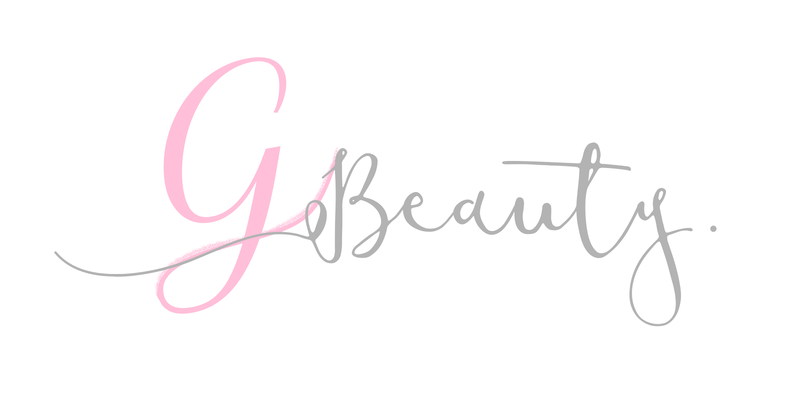 I also suffer from various health problems, a bit of IBS and trichotillomania, and I was hoping that by making my body healthy it would have a positive effect on my digestive system and hair pulling. The programme that I'm on provided an eating plan, 8 weeks of training (3 x 30 minute sessions a week) and 3 progress reviews. One before you start, one after 4 weeks and another at the end. This is where they fat test you and take all of your measurements. My food plan was given to me a week before my training started. It has been a full week of being on the diet so far, I am on 2 shakes and 2 meals a day plus various supplements. The first few days were the hardest, as I am used to eating at least one bit of chocolate a day and the chocolate flavoured protein didn't quite cut it. I pushed though though (with a big thank you to tea) and after 1 whole week, I am feeling like I am actually putting in worth while things into my body. I am eating vegetable after vegetable and feeling very smug about my life. The meals can be slightly bland but I'm allowed pink himalayan salt so that brings out a bit of flavour for me. I am also allowed to use various herbs and spices which has helped a lot. Unfortunately, I did find out that I was allergic to paprika through this diet. I don't know what's sadder, the fact that I'm allergic or that I had to give up that meal I had spent a good half an hour preparing and cooking. Right now, it is the latter. Apart from swelling up and having my housemate running to get me an antihistamine, the diet is going well. I don't feel like I have lost any weight as such yet but it is early days. The shakes themselves are not the most fabulous things but they're drinkable. I have to add beetroot juice to the shakes and I am not particularly loving that. I've never been much of a beetroot kind of gal so it has been difficult for me to drink it twice a day but I've gotten used to it. I hope I can mix it up a little bit further down the next couple of months! My first gym session was today! My trainer is called Matt and he seems nice. The session itself was a bit of an induction into the stretching and foam rolling which I'm going to have to do by myself before every session. The foam rolling is really weird but feels good on your muscles. The stretches are pretty standard and easy to follow. I was hoping that the lunge stretch would help me be able to do the splits but Matt pretty much shot me down, so that's that. I also asked if I would be able to get abs by the end of the 8 weeks and he said no to that as well. At least I have been warned! I'll show you Matt, mate. We then did a mini session, starting with some core work. He was nice to me and gave me all of the baby things to do. I like to think he was impressed by my natural core ability, but probably not. I was trying to make jokes for the whole half hour but I don't think Matt wants to be my friend. This makes me sad. I'll crack you Matt pal, don't you worry. He then took me over the Bike of Doom, my least favourite part. I am pretty much the most unfit I have ever been and cardio is not my friend. It was not fun. That was the end of the session. I went back up to the flat and lied down on the floor for a good half an hour. I feel seriously ill after cardio, which I am hoping is due to my being unfit at the moment. No pain no gain ey. My body isn't particularly sore at the moment and I am hoping it will stay that way. My next session is in two days time and I am not looking forward to seeing how hard he's going to work me in a full session. I'm at the end of my third week of training and I'm already feeling the benefits! I've been able to get to sleep at a normal hour and I've been getting up at 8am every morning (sounds silly but this is honestly a huge achievement for me!). I had a few IBS problems and they seem to have cleared up for the most part, presumably as a result of the diet. As for the sessions. I'm not going to lie, I really struggled with the first 4/5 sessions but I think I'm starting to come through the other end. My body is starting to get the hang of it! Every Tuesday, Thursday and Friday I do 30 minutes worth of weight training with Matt and then he sticks me on the bike for 15 minutes at the end. I'm starting to feel really good at the end of the sessions. Me and Matt are also getting on well, I like to pretend that I'm his favourite client. I am starting to form a real hatred to the leg press though. I had my four week review today. Adele pinched all of my fat and weighed me. I've lost 2kg and an inch off my waist! I don't know if I feel like I've lost weight myself, because it's only a pound a week it isn't a drastic change. I'm happy with the results so far! As my main priority was to feel less lethargic, healthier and fitter it doesn't bother me too much if I'm not a skinny size 4 by the end! I've been sticking to the diet most of the time but I have been partial to a cocktail (or five) on the weekends so I'm sure I could have lost more weight if I wanted to. I leg pressed 75kg today! Come at me world. I also had to spend a lot of money on protein, I'm so poor. For some reason I did my core session with another guy, who is training to be a personal trainer, today. I absolutely owned him. He was seriously struggling with the plank. That made me feel really smug, not going to lie. EDIT: He is no longer training to be a personal trainer. (no comment...). I can definitely feel myself getting stronger, I'm not struggling half as much with the sessions anymore. I'm used to them in the sense that I don't want to throw up or faint afterwards, but Matt does keep upping the weights so I am actually working harder but I can handle it. No idea if that makes sense or not! I feel like I have lost some weight on my stomach area as well which is a massive plus. I've started running as well and managed to run for 4.3km today without stopping! Ugh none of my old dresses fit me around my waist. Woe is me. I HAVE ABS!!!! Well, not really but it's the most amount of ab I have ever had before sooooooooooo? I had my last review tonight. I haven't lost any weight on my legs apparently, but that can be down to lack of sleep and too much alcohol (both of which I am guilty of) so I'm not too upset about that. I have lost another 1.5 inches off my waist and lost another 0.5kg. I was neither happy or sad about these results. I was glad that I did loose weight, but that's the problem with weight loss, you always want to loose more than you have. I know that I lost that weight healthily, whilst giving myself a break one treat a week to keep me mentally in check, so I really can't complain! 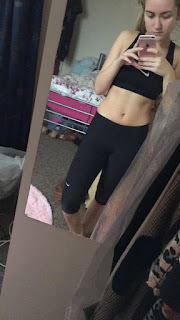 After reading my first entries in this post - I can tell you that I am a completely different person when it comes to exercise now! I can more than handle the gym and cardio is not an issue at all. I almost forgot how useless I was after those first few sessions! I have kept off most of the weight since then and trying my hardest to get in as many workouts as possible! I ended up not taking the supplements in the middle of the eight weeks because I kept getting that weird allergic reaction at the start, which I thought was paprika. Turns out, I was just taking one of the supplements wrong, I was supposed to take it after a meal and not before. That was a bit annoying, as I'm sure my results could have been a little bit better but never mind! I'm going to use them this term anyway. As for helping me, my IBS is so much better. Cutting out dairy and gluten has definitely improved my digestive system. I also feel much better for putting in the right amount of food in my body. Despite the sugar cravings after meals (do they ever leave? ), I feel satisfied food-wise for the majority of the time. The beetroot shakes are still a bit rank but they're drinkable. Ish. Although I am still suffering from Trichotillomania, it was definitely improving before Chrsistmas. 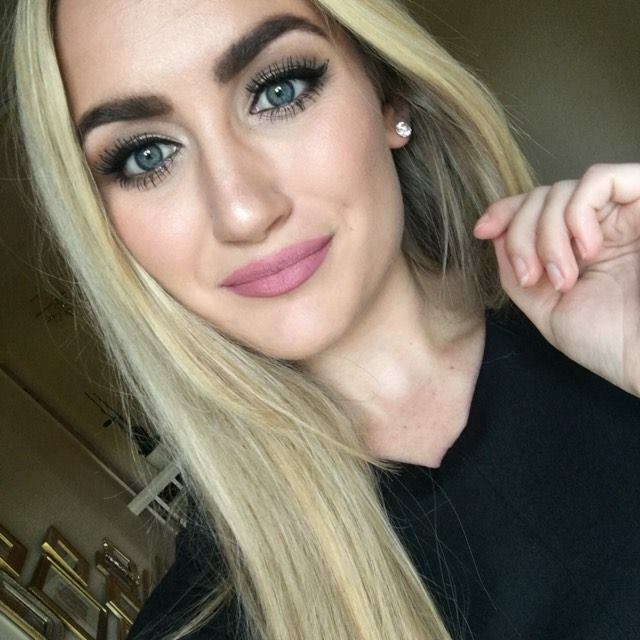 Before the holidays, my lashes were really starting to grow back and I do think that exercise helped me just feel better in my body and that transferred to my hair pulling. Unfortunately, essays took a pretty big toll on me and the hair pulling, not really a surprise. It didn't cure it but I now know that exercise helps curb the hair pulling, so I will definitely be trying to keep up with that. Ain't nobody got time for having bald eyelids! I was happy with the results of my body. I lost a bit of weight and toned up my body. I even had some resemblance to abs at one point! I will definitely be trying to get them back soon. I enjoyed pushing my body to do something it doesn't usually do. Unless making and drinking tea counts as exercise? Having someone telling me what to do was definitely one of the best parts of the eight weeks, I never would have done it all without Matt nagging me. I got on well with him, I think he enjoyed telling me to keep my head still, listening to me moaning about the leg press and having his brummy accent mocked. I'm really glad that we got on well, I would have dreaded going to spend half an hour with someone who wasn't going to at least have a bit of a laugh. I've learnt a lot about what to do in the gym and that was definitely a good investment for me. I'm unfortunately too poor too carry on this term but can still go to a different gym, utilising the knowledge that those eight weeks gave me. It was definitely worth my hard earned money and if you can afford it a personal trainer and a nutrition plan, I would definitely recommend it. PHEW! Well done if you read all of that! I know it was a pretty long post, but I feel like I've gotten pretty much everything in. The only thing I haven't mentioned is the price, I can't actually remember how much it cost me in the end but I think it was around the £500 mark and then I ended up spending a good couple of hundred on the protein and supplements etc. Again, a good investment if you can afford it! I hope that helps anyone who is looking to do a long gym stint with a personal trainer or even looking for signing up with Shapeshifters! Like I said, I would definitely recommend it. P.S. I wrote this post a while back - I just got a little bit nervous posting it!